You are here: Home / Cebu Pacific / CEBU PACIFIC AIR: FLIGHTS FOR AS LOW AS 199 BASE FARE! 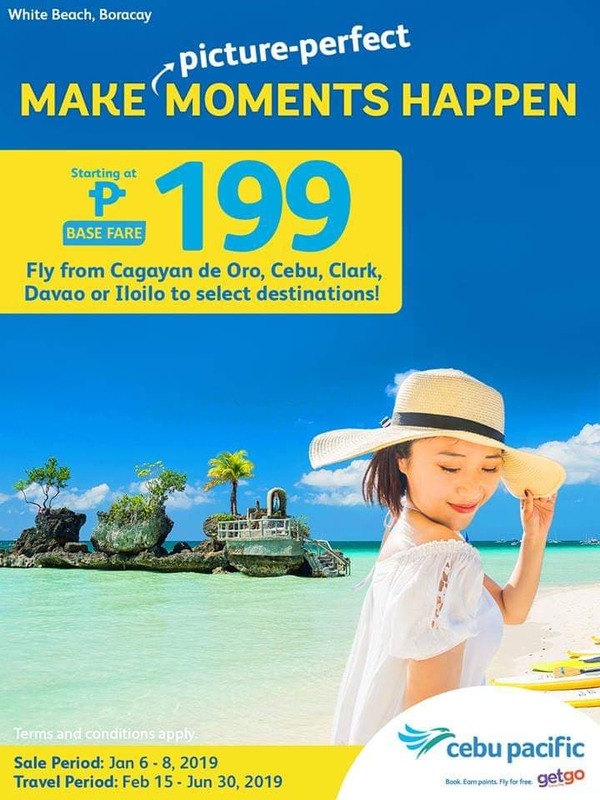 CEBU PACIFIC AIR: FLIGHTS FOR AS LOW AS 199 BASE FARE! Make your every adventure moments happen with Cebu Pacific Air! Cebu Pacific Air’s flights are currently on sale until January 8, 2019. As low as 199 base fare, you can fly to any select picturesque Philippine destinations and as low as 494 base fare to any select international destinations. Get your plane tickets now and start flying from February 15 – June 30, 2019. Hayasss.. Wala naman nagreresponds ehh..
Paresponds naman poh.. 2 way to manila to iloilo and iloilo to manila..
Davao to manila meron po ba? Mag kanu po at anung month po ang promo nyo?